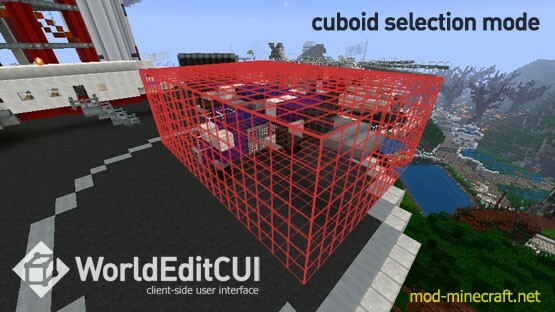 WorldEdit CUI Mod permits you to see your selected region in-game in real time by adding in a client-side user interface for the WorldEdit plugin. 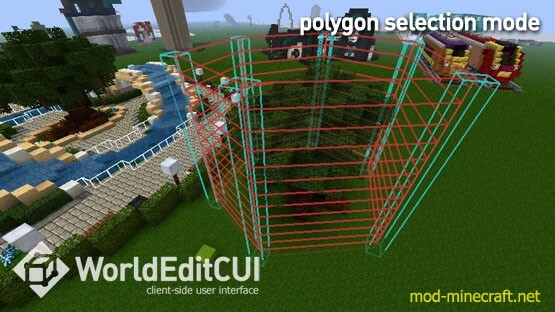 It allows you to work more quickly and accurately with your WorldEdit selection and is especially useful when working with Polygon, Convex Hull and Cylinder selections. 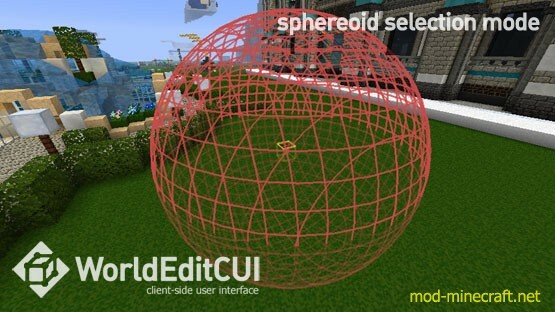 WorldEditCUI was originally written by lahwran, it was subsequently maintained by yetanotherx. Copy it to your mods folder. Note: Some browsers will change the file extension to .zip when downloading, if this happens be sure to change it back to .litemod or LiteLoader will not find the mod! Run the game and bask in the warm glow of your new CUI mod.